I’ve used the MkII version if these bars for a while. They are excellent if you are looking for some room on your bars for lights etc and still want a narrow flat bar setup a la fixie world. The Mk IIIs differ in that they are gloss black finish but otherwise seem the same. Make a great match with the Thorn carbon 25.4mm stem, which sadly looks like it’s on its way out. I’ve cut mine down to 460mm with ispec ii gear/brake levers, which is about as narrow as you can go without too much cable and hose grief. 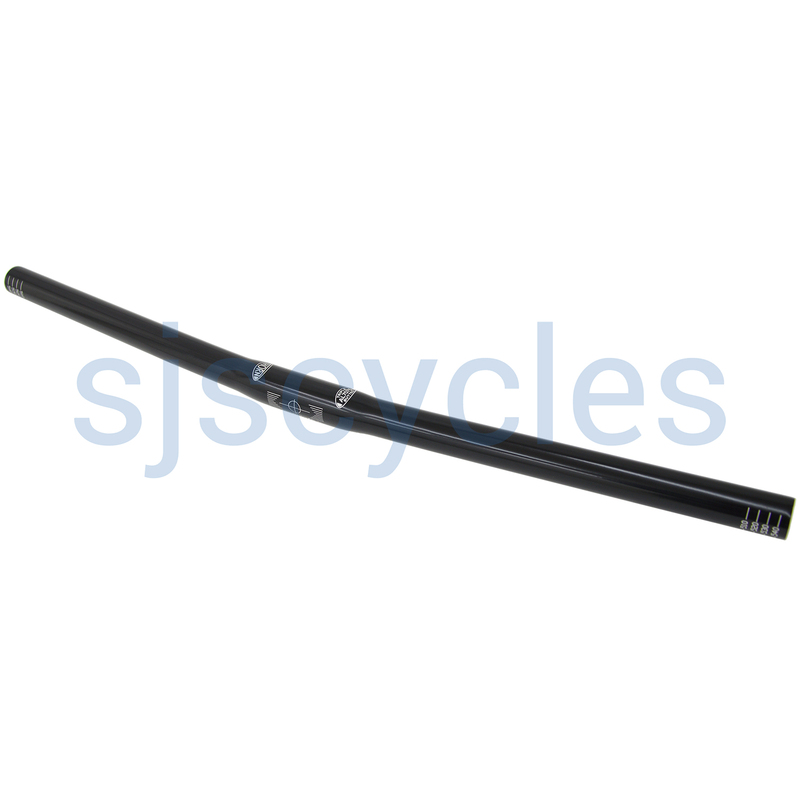 Can I use this to replace the M bar on my Brompton? In theory yes these would fit. However, the M stem is shorter than the S type, and therefore the front end would be very low, and the S type has more reach so it would feel quite short. Lastly, the cable lengths would need to be custom cut to suit this position.